The ultimate guide to England's future ballers. England’s recent successes at youth level on the European and world stage has heightened interest in the next generation of home-grown players who have already won more accolades internationally than a previous group of players falsely labeled as a “Golden Generation”. 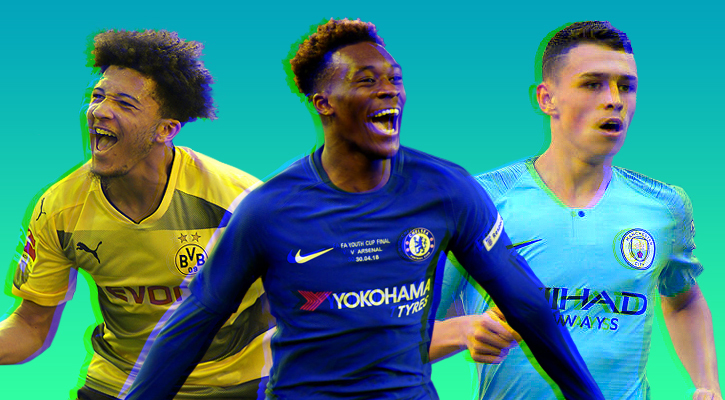 The new wave of Young Lions are no longer players who are preceded by hyperbole or inflated transfer fees – they’re confident and skilful young ballers getting first team action and being courted by some of Europe’s biggest clubs. The future of English football looks bright. Here’s the 25 best young English players in the game right now. The diminutive and tricky winger who was playing Sunday League football only four years ago has enjoyed a meteoric rise to the top level, scoring on his Premier League debut against Manchester City in January 2017. The England U17 World Cup winner soon moved to RB Leipzig on loan a year later, scoring a last minute winner on his debut and finding the back of net five times in 11 appearances. A permanent move to the rising German club will fast track his development on and off the pitch. 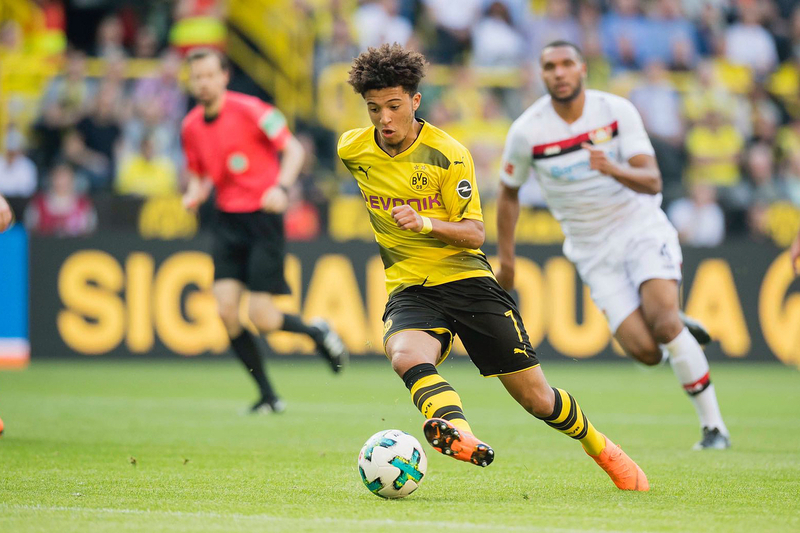 A confident and talented forward who set pace by leaving Manchester City last summer to take the vacated no.7 shirt previously worn by Ousmane Dembele at Dortmund. Scoring and providing two assists on his first start saw him become the youngest Englishman to score in the Bundesliga. The South Londoner recently provided the assist for Marco Reus’ 100th Bundesliga goal and is tipped to feature in England’s squad this coming season. It’s a testament to Gomez’s quality that he’s now entering his fourth season in Liverpool’s first team despite being only 21-years-old. The ex-Charlton defender is a ball-playing centre back in the mould of Rio Ferdinand, who’s also comfortable in either full back spot. 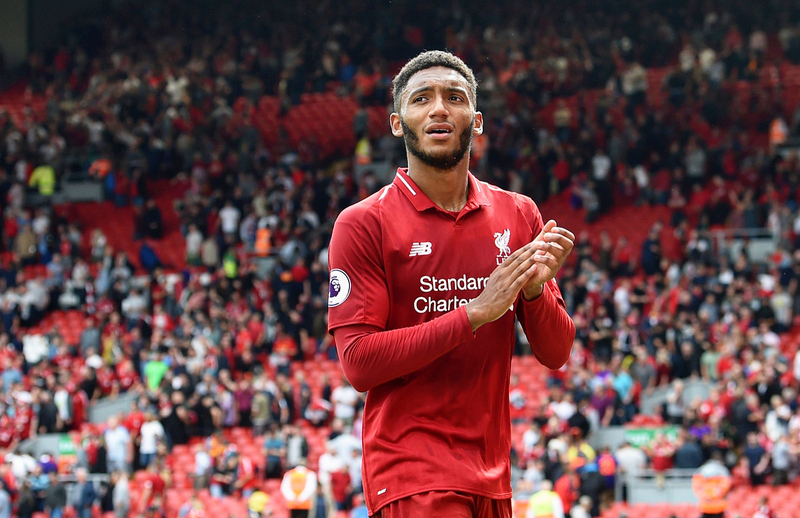 Gomez would have been part of England’s 2018 World Cup squad were it not for injury and it’s expected he’ll make up for lost time this coming season. 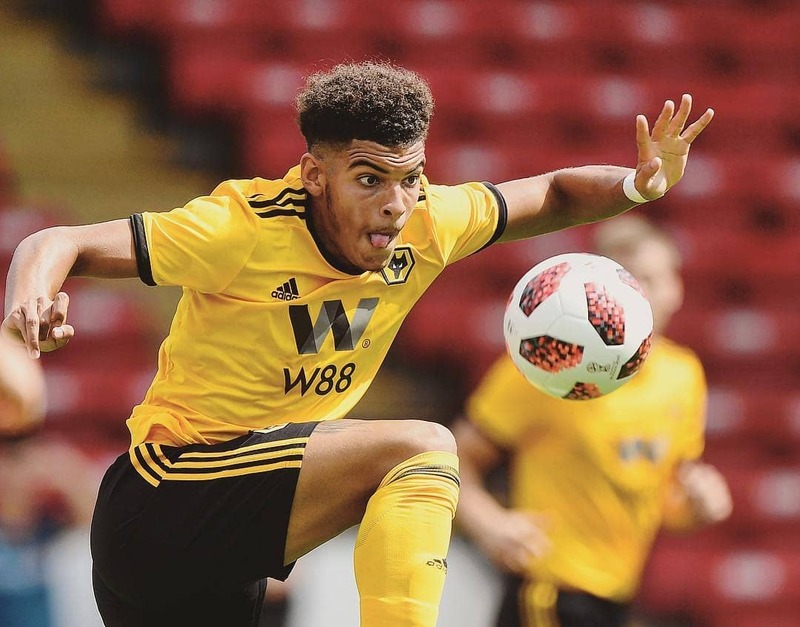 A scorer in the U17 World Cup final win and a Wolves academy graduate, Gibbs-White is a rare homegrown talent that broke through amidst the Portuguese posse during their title winning run in the Championship last year. The midfielder recently signed a new four year deal at Molineux and will be looking to secure a starting berth after featuring off the bench against Everton and Leicester thus far this season. The wing-forward joined the West London club a decade ago and played an integral part in helping Fulham back to the Premier League with 15 goals last season. An U19 Euro winner with England, his first season in the top flight should bring full England honours. Ryan is the first professional player in the English leagues to have been born in the 2000s to score in a first-team game. A surprise inclusion on the standby list for England’s World Cup squad this past summer, the deep lying midfielder with an innate ability to pick a pass was the first England captain to lift a world trophy since Bobby Moore. 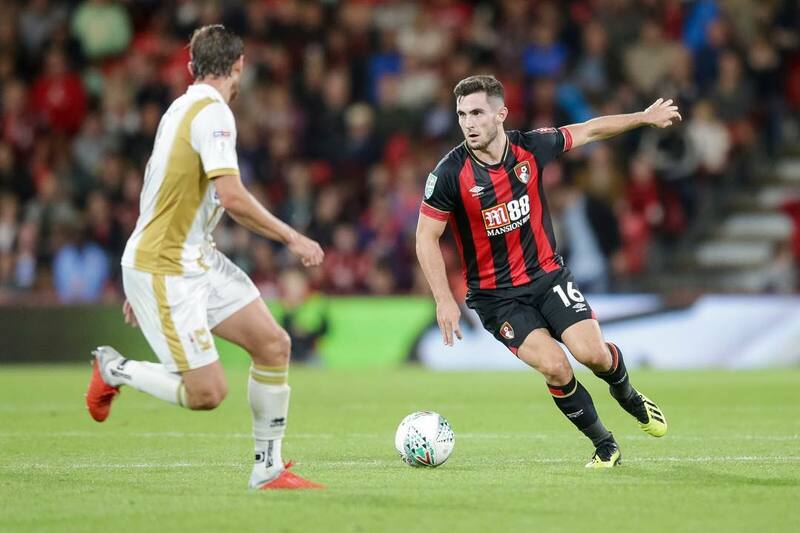 In his third season on the south coast, Cook’s slow rise will be rewarded with inclusion in qualifying for Euro 2020 provided he recovers properly from a recent long injury lay off. The Scouser born close to Liverpool’s Melwood training ground enjoyed a breakthrough season scoring a free kick against Hoffenheim on their run to the Champions League final last year. 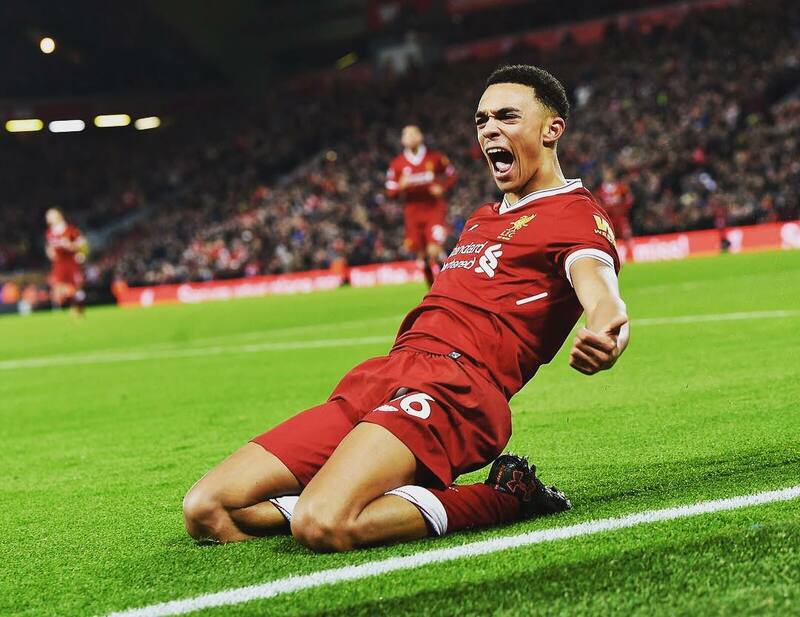 Technically proficient and defensively sound, the right-back was a wildcard addition in England’s World Cup squad, starting the group game against Belgium to become the fourth teenager to make their debut for the Three Lions at a World Cup. 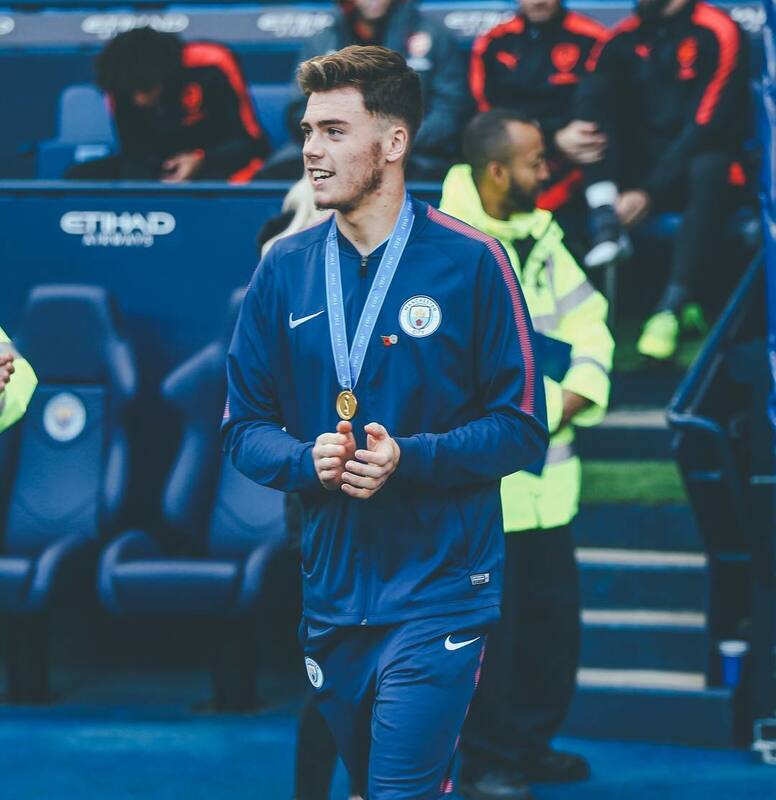 Winner of the U17 World Cup Golden Ball award and the youngest ever player to receive a Premier League winner’s medal, accolades appear to naturally follow the humble midfielder who famously declined taking part in City’s title winning celebrations last season to go night fishing with his old man in Stoke. 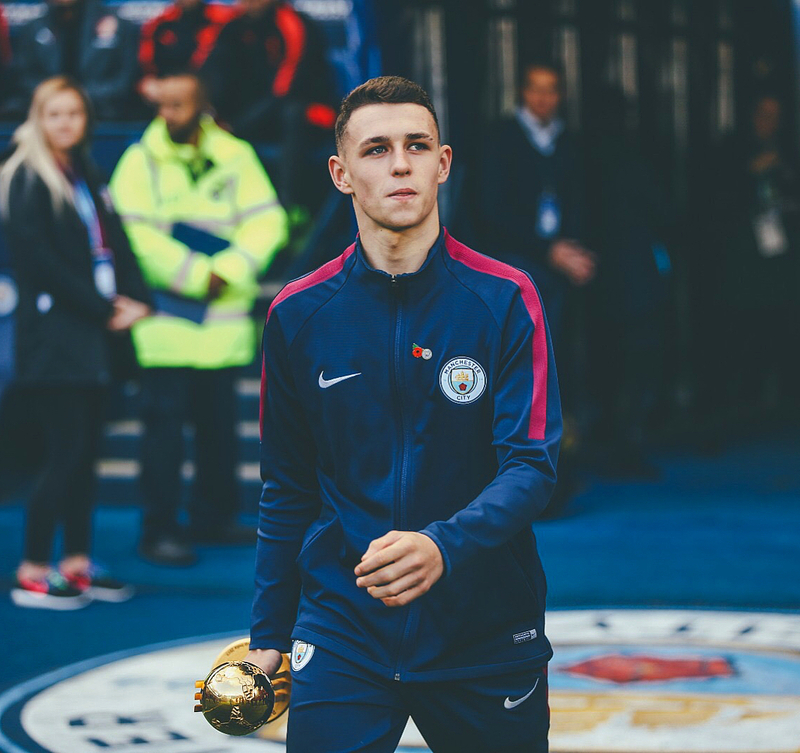 Comfortable in possession a la Iniesta, the boyhood City fan is set to breakthrough at the Etihad this season. The East London born striker first came to prominence during England’s U17 World Cup win, scoring eight times to collect the Golden Boot in India. 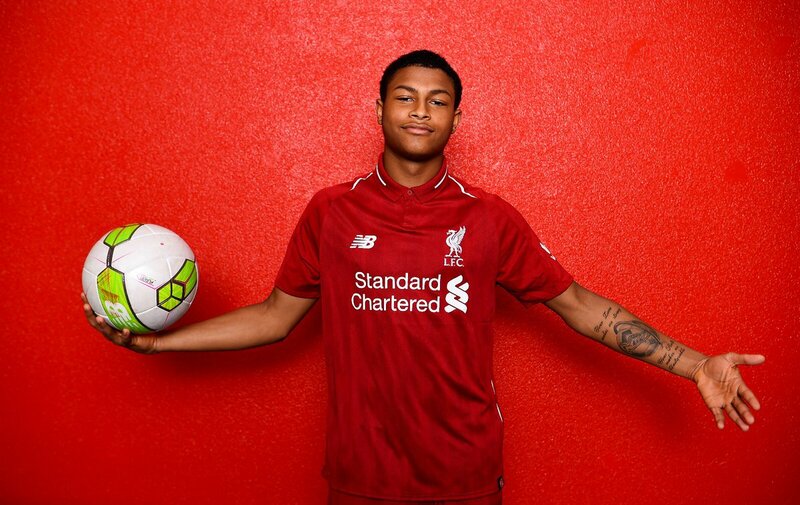 A mature and humble role model who has spoken openly about his experiences with racism on the pitch, Rhian recently signed a long-term deal for the Reds and was handed the number 24 shirt signalling manager Jurgen Klopp’s faith in the young starlet. 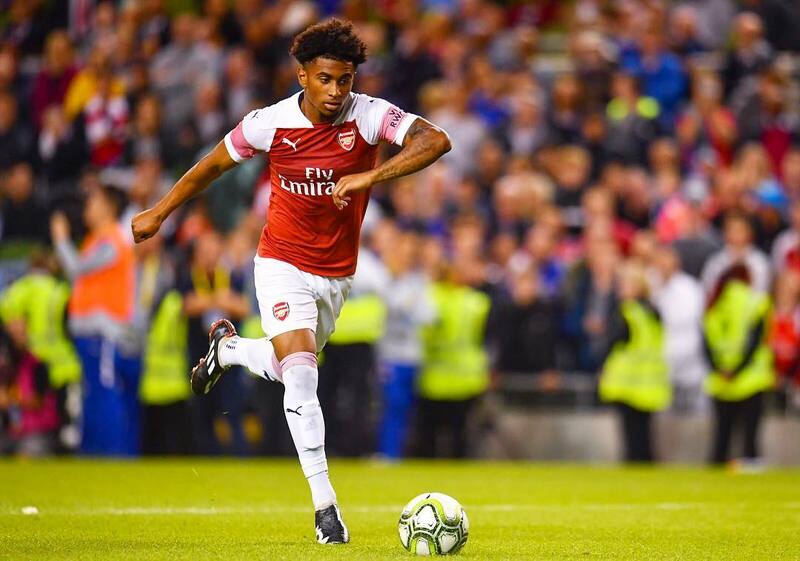 Capped by England at youth level and a member of the U17 World Cup winning squad, the attacking midfielder’s profile rose during Arsenal’s pre-season scoring an excellent individual goal against Atletico Madrid. 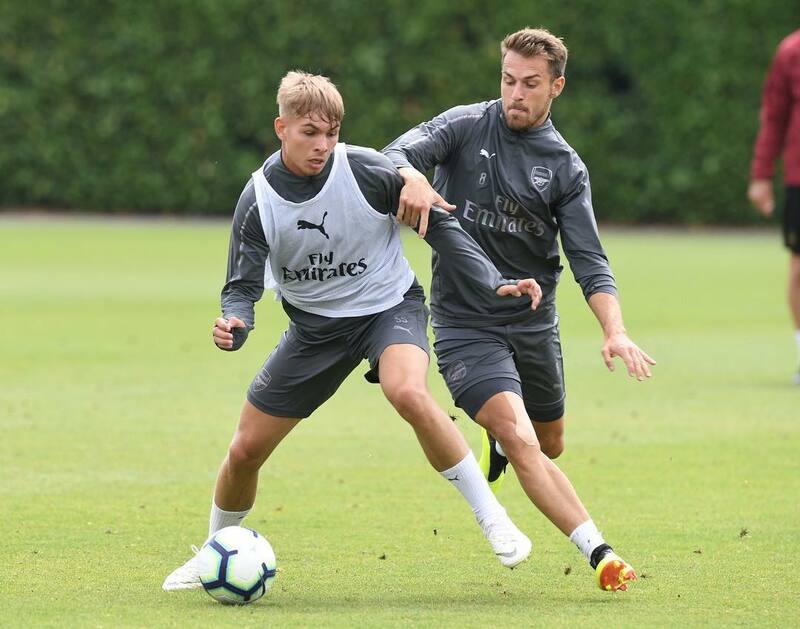 Having impressed new head coach Unai Emery, the graduate recently signed a new long-term contract and will be looking to complete the transition from academy to first team at the Emirates. Another academy prospect who has left England for the European mainland, the promising central defender is now in the south of France at a club renowned for blooding young talent. 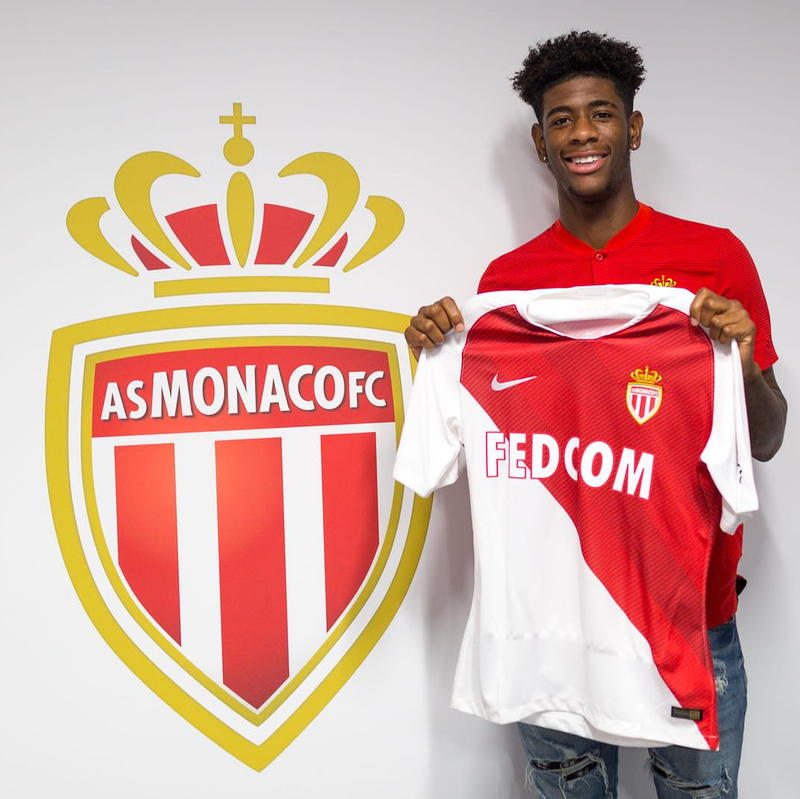 A key part of the U17 World Cup winning cohort, the French-speaking Panzo should settle easily in his new confines and appear at the iconic Stade Louis II stadium in European competition soon. Versatile deep in midfield and on either flank defensively, the England U20 international has benefited from being on the fringes of the Arsenal first team in the last few seasons to becoming a regular starter in the Europa and Premier League respectively. Cruelly injured at left back in the Gunner’s first game against Manchester City, a return to form should see the young England player fight for a starting berth at the Emirates. 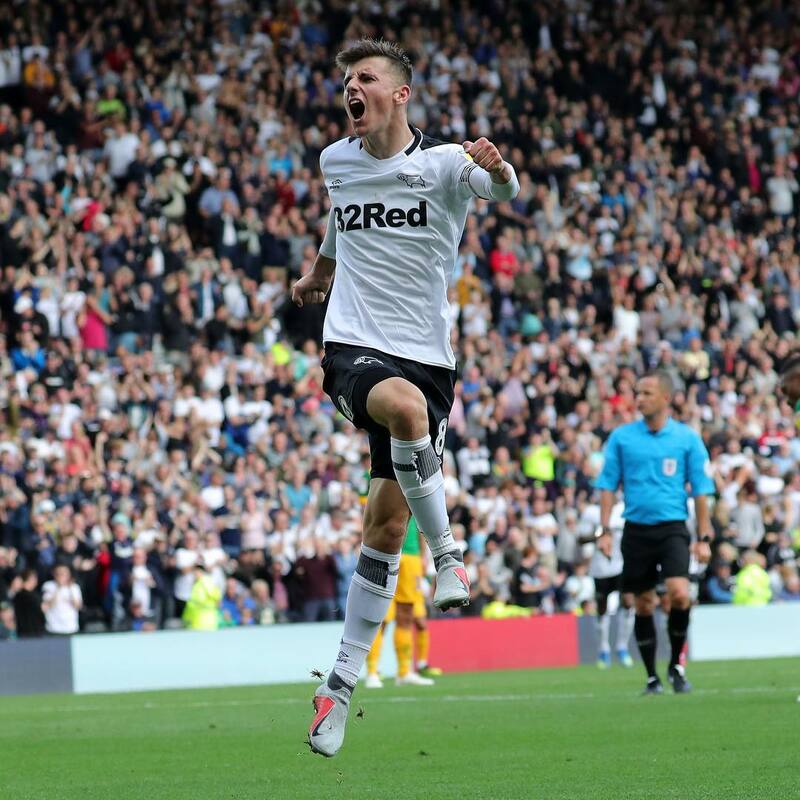 Loudly backed by Chelsea fans over the last couple of years as the man to finally fill Frank Lampard’s shoes at the club, goalscoring central midfielder Mason Mount has gone to learn from the man himself at Derby County. The fiercely-gifted Mount scored nine times at Vitesse last season and he’s already netted four times for Derby County in the first month of the new season. The former Charlton defender helped England win the Toulon Tournament this past summer and was also part of the U20 WC squad. 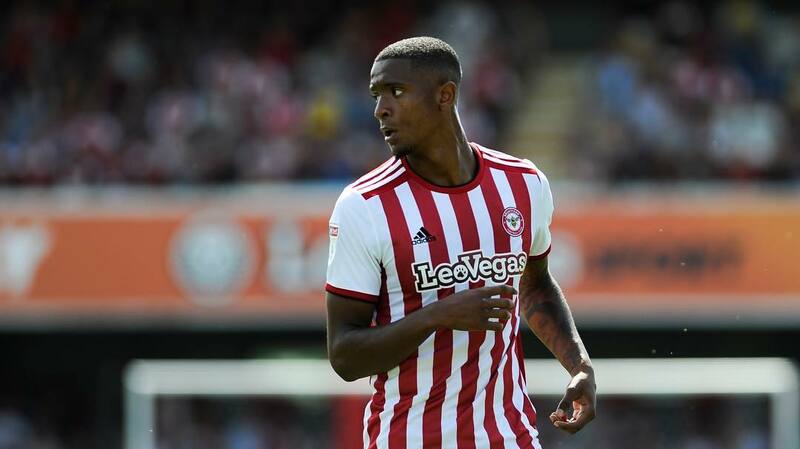 Amidst Premier League interest, he has chosen the Bees to aid his next step in development eyeing regular football (rather than the bench) to help the Griffin Park faithful’s push for promotion. The highly rated forward made his respective domestic and European debuts in Arsene Wenger’s final season. 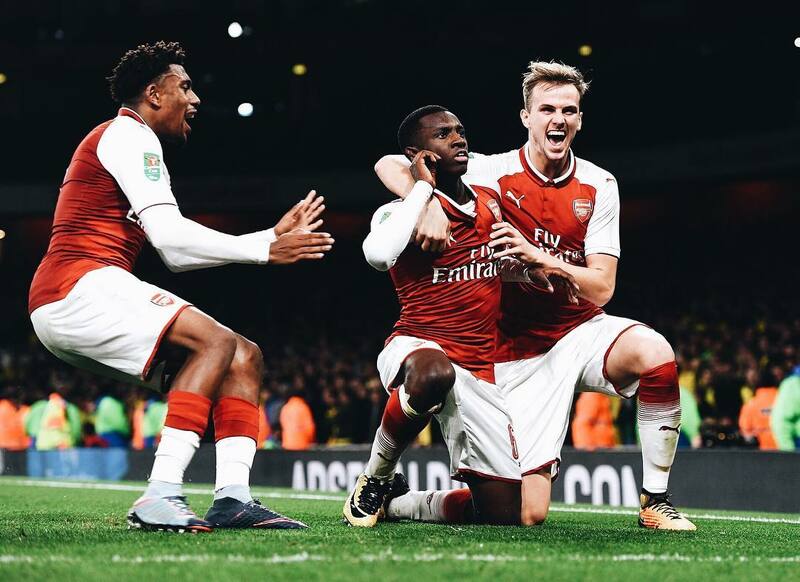 Capable of playing as a striker and no.10, the England U20 international was named Premier League 2 Player of The Season last year as the Gunners won the PL2 title. 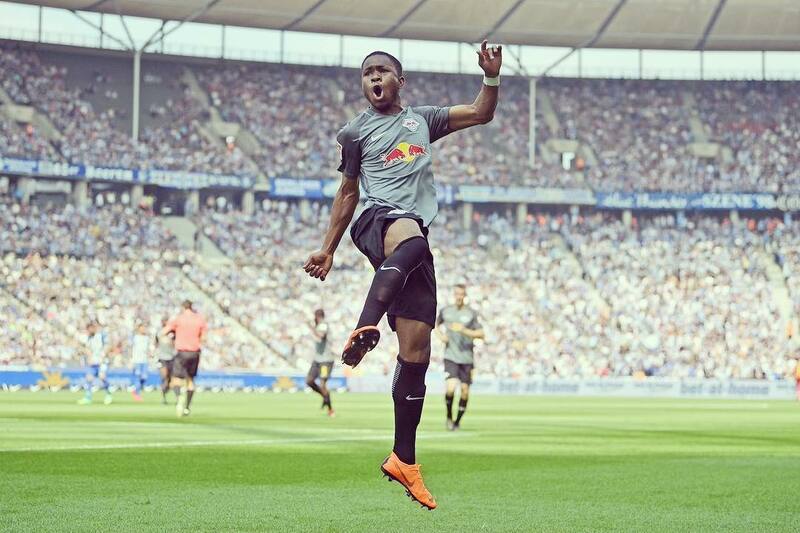 The 18-year-old looks set to continue his development in the Bundesliga this season, following in the footsteps of many other young ballers. A former Arsenal academy youngster who has sought to test himself abroad, McGuane became the first Englishman since Gary Lineker to play for Barcelona only a few weeks after leaving North London. 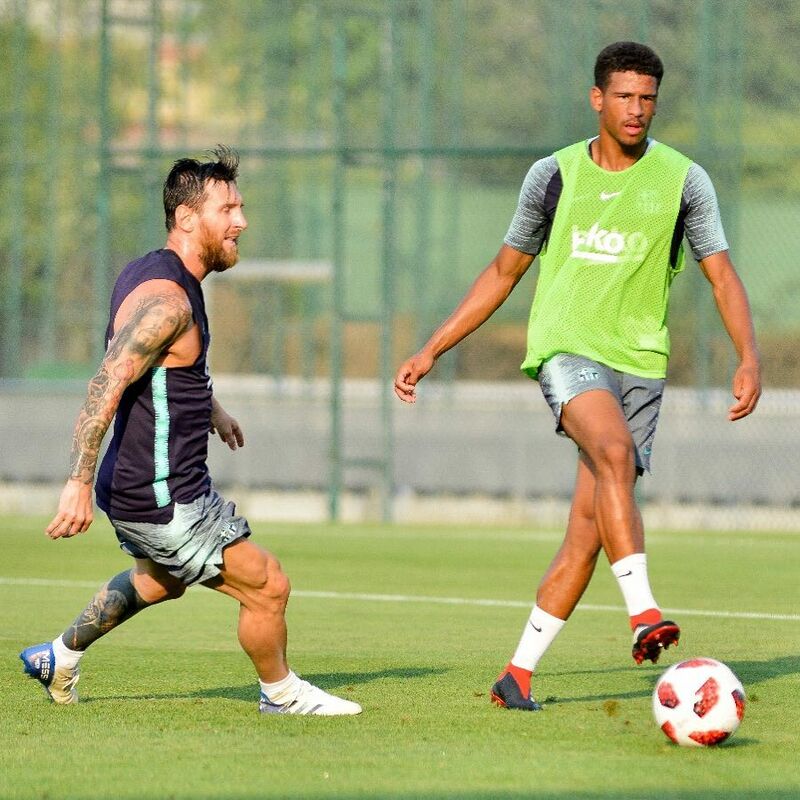 Equally competent across defence and in central midfield, he has already made an impression training with the first team and a full pre-season should see the England U19 international make further appearances throughout the La Liga season. 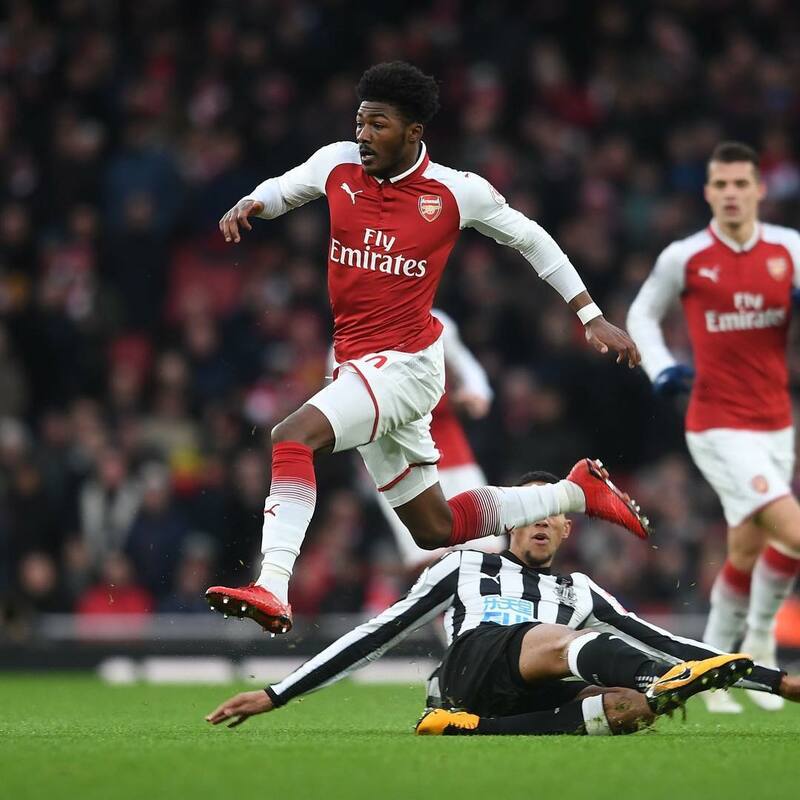 After being released by Chelsea for being too short, the Gunners gave this young striker a new lease of life where he has scored prolifically at youth level over the last few seasons. His match-winning brace from the bench against Norwich in the League Cup last season propelled him into a cult figure. A recent call-up to England U21s Toulon Tournament squad saw him score two goals in three matches to help them win another youth level competition. 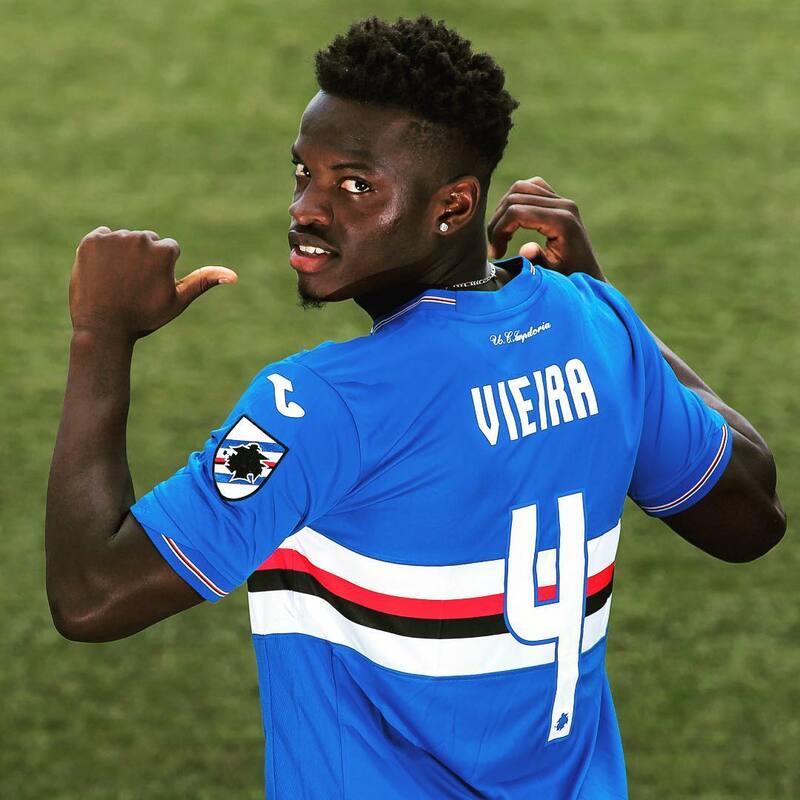 Named after the Brazilian striker, the defensive midfielder made an unexpected move earlier this summer to Serie A from Yorkshire. Earmarked as a direct replacement for new Gunner Lucas Torreira, his adept intercepts and drive in the middle of the park saw him selected for the Toulon Tournament with England U21s where he scored a long range screamer on his debut against Qatar. 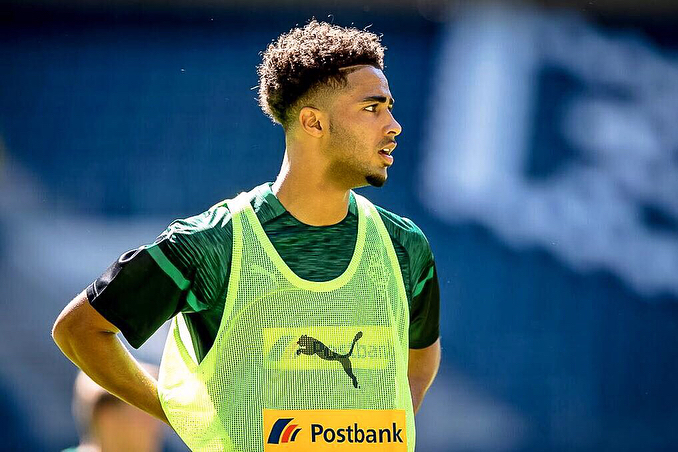 Another Englishman who has opted for the Bundesliga finishing school, the former Spurs player joined the German club to follow in the recent footsteps of Mandela Egbo and Reece Oxford. A direct attacking midfielder with a weaving left foot, the 19-year-old should settle well with the Foals as he speaks fluent German by virtue of his Hamburg-born mother. The former Spurs academy striker had his most productive season to date scoring over 30 goals last season at youth level including four in 9-0 win against rivals Arsenal. 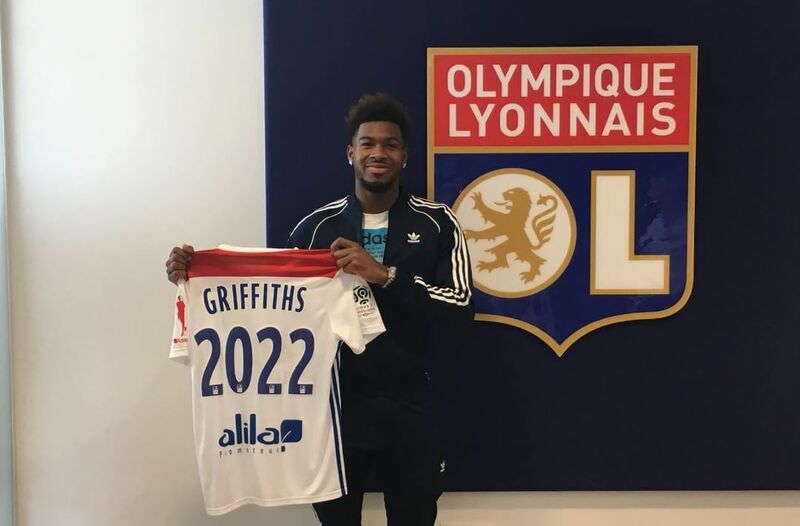 However, the Highgate-born forward opted against staying in North London and will continue his quest for regular first-team football in France hoping to follow the goalscoring trail of former Lyon legends Karim Benzema and Alexandre Lacazette. Winner of the Golden Glove award at the U20 World Cup last year, the talented shotstopper has gone on fruitful loans north of the boarder to Kilmarnock and Aberdeen in recent times. 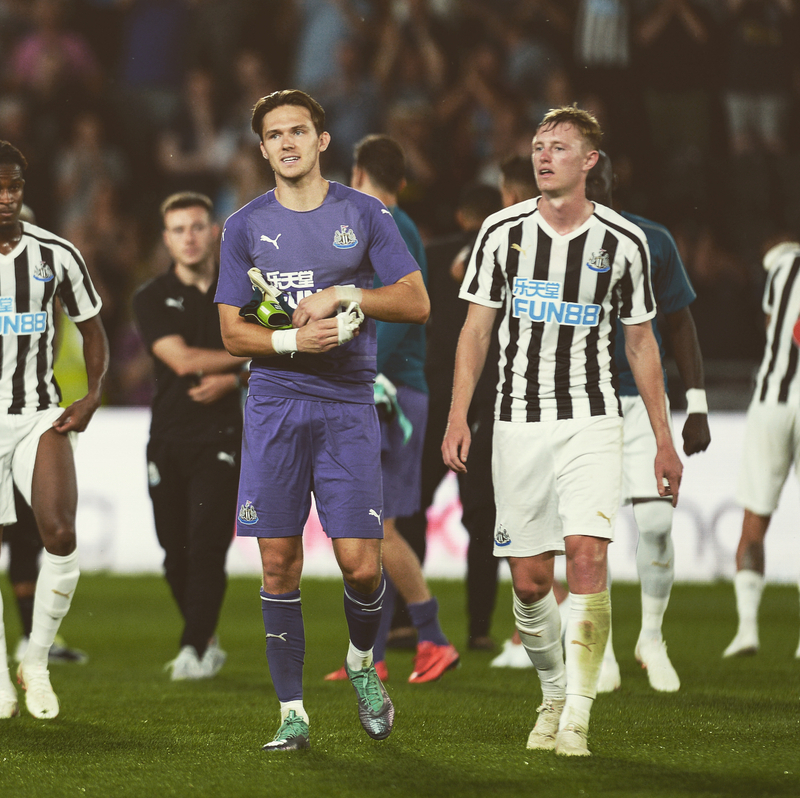 The highly sought after goalkeeper could well seek a permanent move away from St James Park to keep him firmly on the radar of his actual godfather Gareth Southgate. A former product of Blackpool’s academy, the City keeper was a penalty shootout hero in England’s U17 route to the final saving and scoring against Japan during the round of 16. Having spent time training with Pep Guardiola and the first team, a loan move for regular time between the sticks will showcase his talents. Blessed with enviable technique, the powerful left-footed playmalker scored the winning goal in England U21s Toulon Tournament final victory versus Mexico. 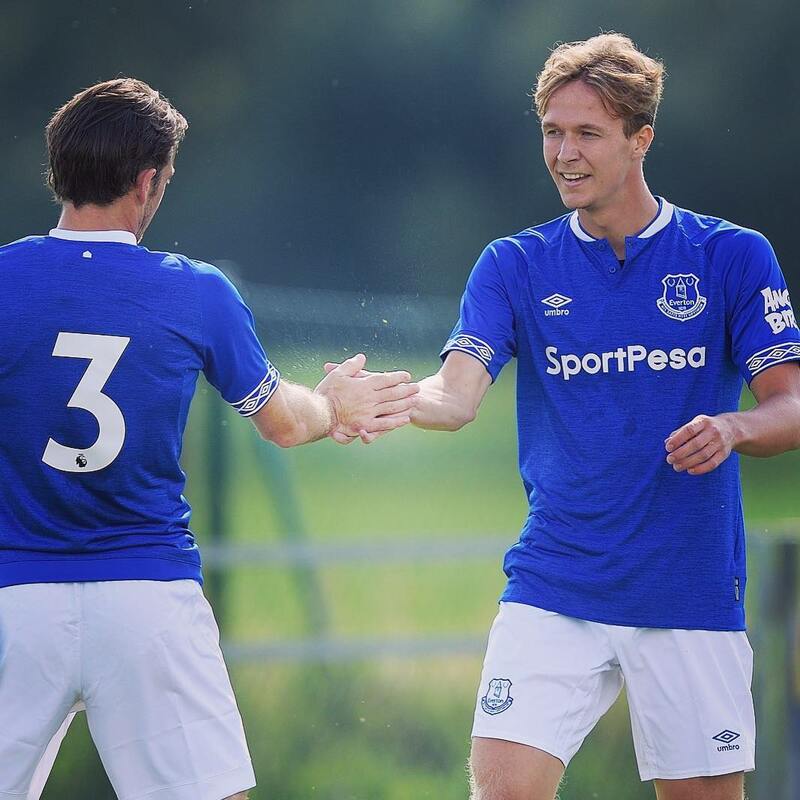 Last season on loan at Nottingham Forest yielded ten goals and the boyhood Blue will be looking to feature in new boss Marco Silva’s plans this season. A member of England’s historic U20 World Cup win, the Tottenham midfielder reaped the benefits of regular football on loan at Championship side Aston Villa last season, helping them to a narrow playoff final loss to Fulham. 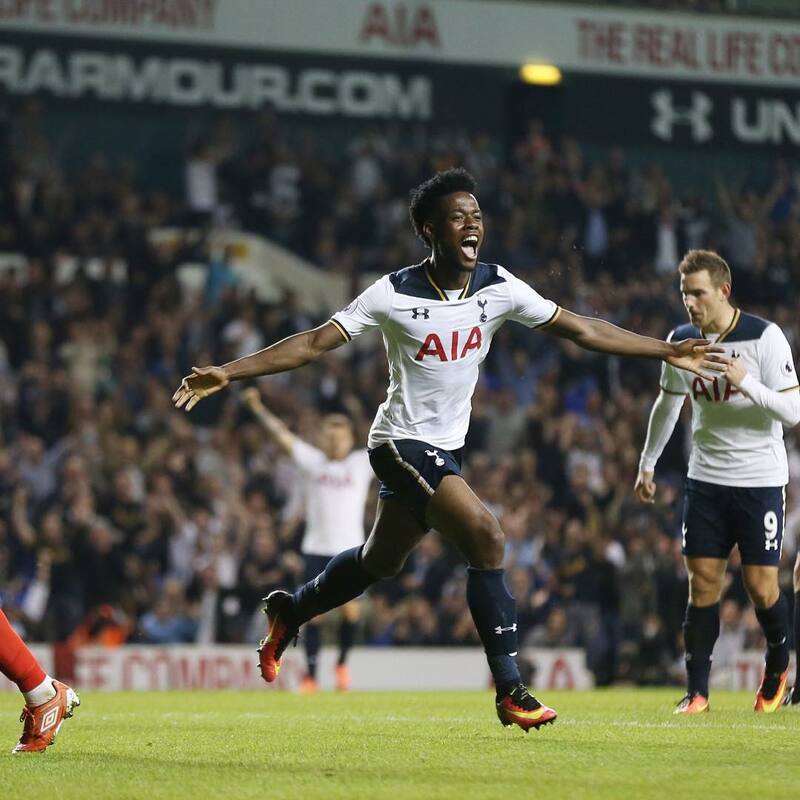 This year marks a key stage for the England U21 international’s development from the fringes into the forefront of Spurs’ abundant midfield talents. Following impressive displays in pre-season including an outstanding showing against Arsenal, new Chelsea coach Maurizio Sarri declared Hudson-Odoi would not be leaving the club this year. 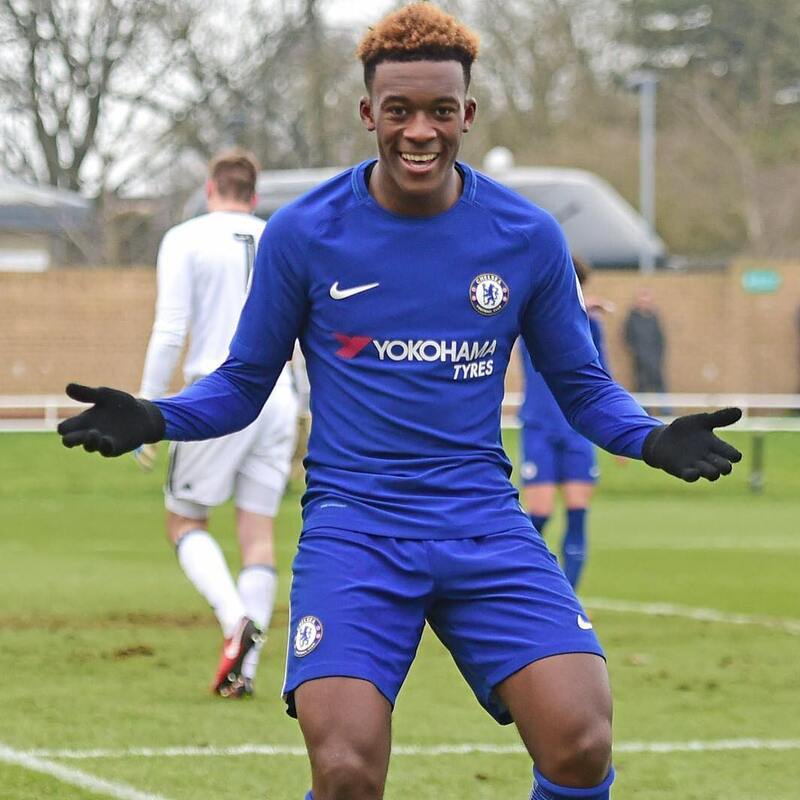 Blessed with quick acceleration and directness, the gangly U17 World Cup Winner may well be a rare homegrown anomaly who doesn’t jump on the loan merry-go-round and has a breakthrough season at Stamford Bridge.